Dairy products are a big part of the American diet, though not always in the most healthful ways. Milk, yogurt, and cheese all offer calcium, protein, and vital vitamins and minerals! Readers will be fascinated by the long history of milk products and thrilled to learn that some of their favorite foods can be part of a healthy meal. 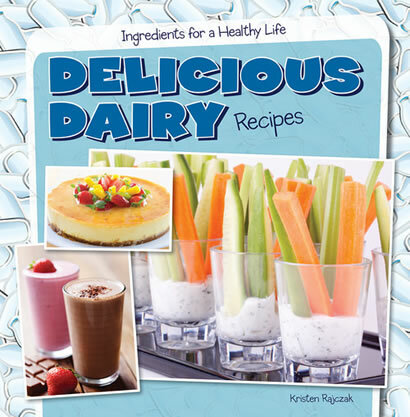 Complete with full-color photographs, recipes showcasing dairy will drive home the need for moderation and encourage readers to find new ways to reap the benefits of milk.